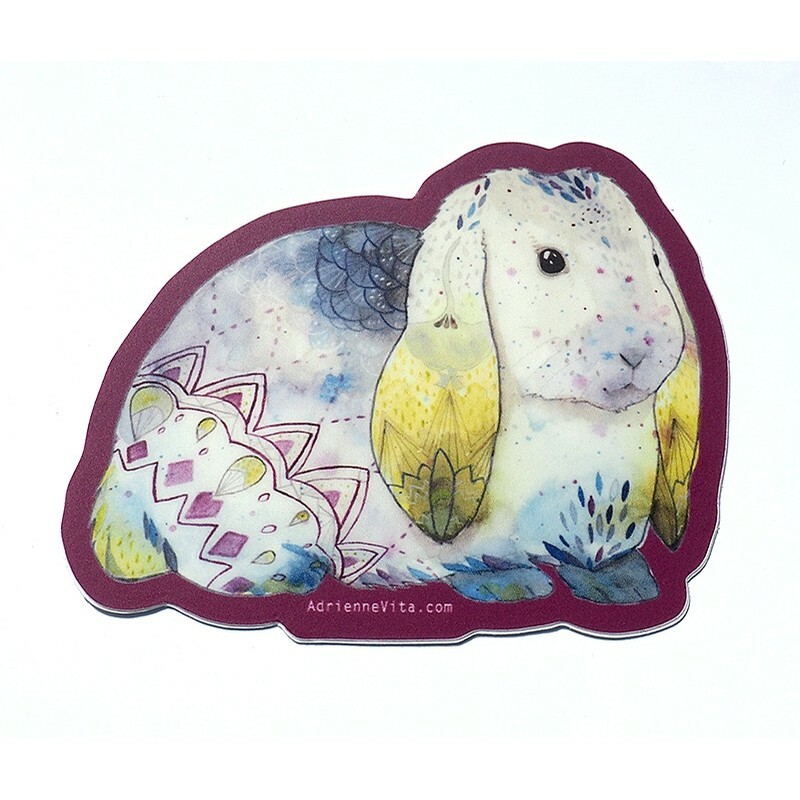 This Rabbit is an original watercolor illustration printed on a die cut vinyl sticker. Rabbit animal totems represent fertility, new life, luck, creativity and awareness. This rabbit with all his unique markings and steady gaze is an expression of this insight. This die cut vinyl sticker is my rabbit illustration from my animal totem pillow collection. So fun for kids and adults! Roughly 3" w x 2 3/8" h in size Each is made of thick, durable vinyl with a UV laminate that protects your die cut stickers from scratching, rain and sunlight.